Fun, easy, tempting and good-looking! Those are qualities we should expect, especially when it comes to appetizers with prosciutto. This snack offers all of those and more. The fun and refreshing flavor combo of cucumbers, Prosciutto di Parma and gin create perfection for pass around hor d’oeuvres. This is a feel-good handful you’ll be happy to pack for a picnic or bring to the neighbor’s barbecue. For a child-friendly lunch box snack, try substituting the gin for ginger beer. 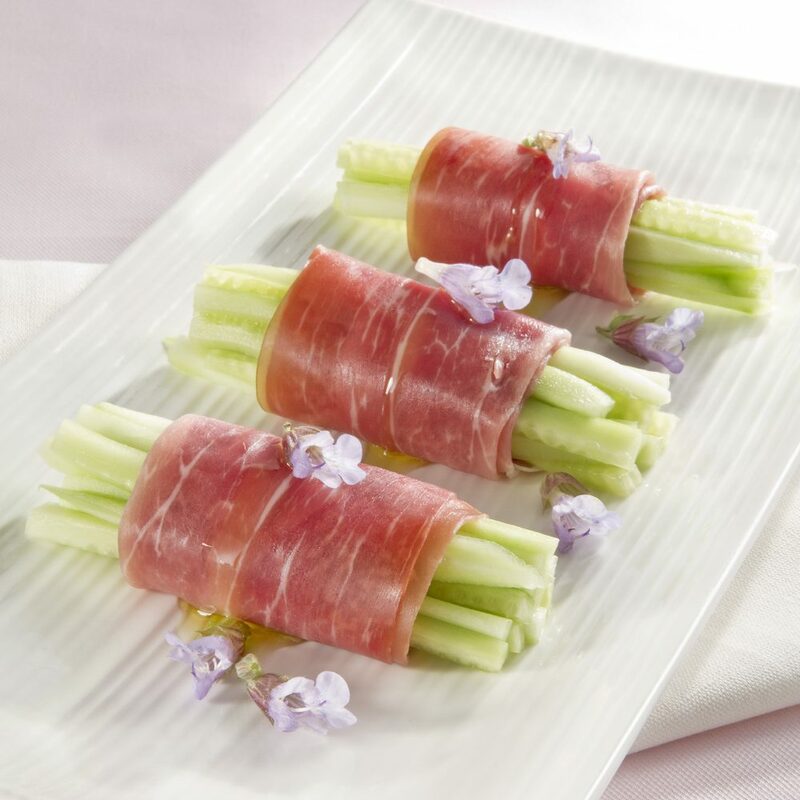 Prepare yourself for a bundle of flavor in these appetizers with prosciutto! Wash the cucumber and cut it into strips. Put the strips in a container, cover with cold water and salt and place in the refrigerator for 24 hours. Drain the vegetable and immerse in gin for 2 hours. Drain again, pat dry with a clean tea cloth and wrap small bunches of strips in slices of Parma Ham. Serve the roulades on a plate that has been lightly greased with extra-virgin olive oil.